Italy is the number one European country that North Americans like to visit and there are SO many reasons why! The people are hospitable and full of fun, the food and wine are beyond compare and of course the history within the country goes back millenniums. We send many clients to Italy, so it makes sense that we travel there as well to learn as much as we can to help our clients travel well. I just returned from nine days of traveling in Italy with my daughter. We went to explore and have fun together, but I also wanted to experience some of the places, hotels and tours that I book for my clients to make sure I’m giving them the best advice. I learned quite a bit and I’d like to share this information with you. First, let me tell you where we went. 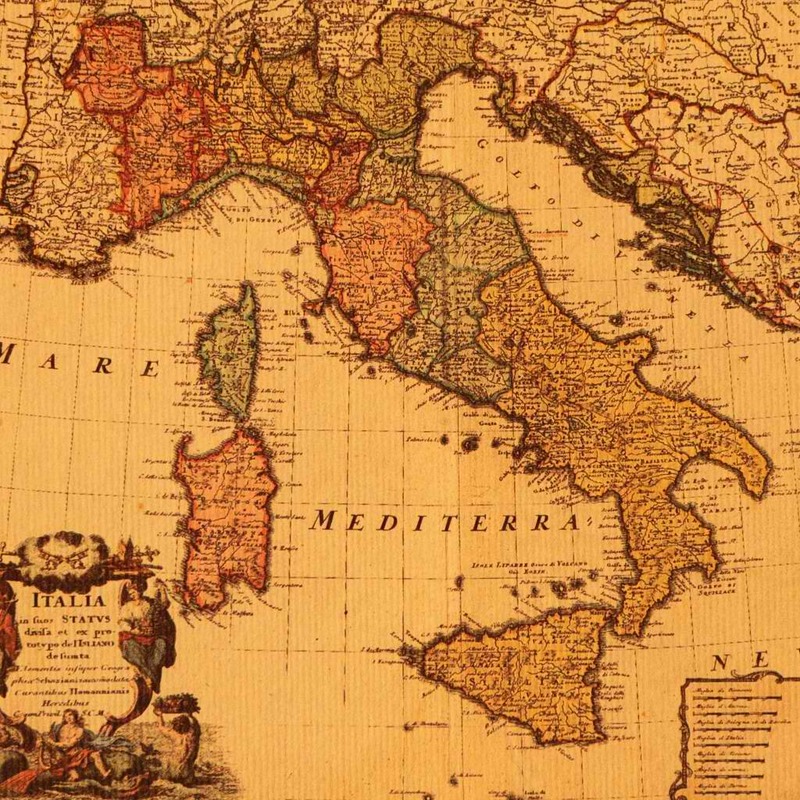 We started in Rome, then Tuscany, to Florence, Cinque Terre and ended in Milan. Summertime is a busy season for Italian tourism and it’s hot, so if you prefer to avoid the crowds and the sweltering heat, consider May or October when there will be less people with reasonable weather. However, if you’re a school teacher like my daughter, summer may be the only time you have available, so let me give you a few hints to help you out. 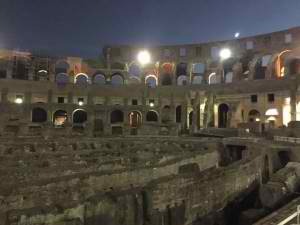 ROME – Plan to beat the crowds by booking EARLY or LATE entrance tours. You will pay more for these tours, but you will go before or after the heat of the day and you’ll visit with about 1/4 of the people that are normally there. We paid for a “Breakfast at the Vatican” tour that started at 6:30am, but got us into the Vatican Museums, Sistine Chapel and St. Peter’s Basilica before the general public. That meant we could actually SEE everything these amazing places offered without the mobs of people blocking our view. 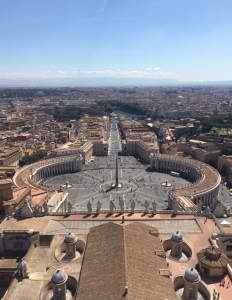 We even went up to St. Peter’s dome with NO WAITING and got the best view of Rome. That evening we took a “Colosseum at Night” tour, which included the floors underneath where the animals and gladiators used to stay before competing. Again, we basically had the Colosseum to ourselves without the crowds and the hot sun beating down on our heads. 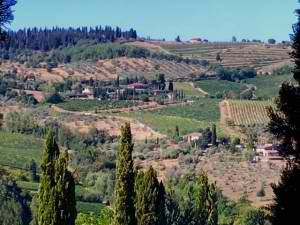 TUSCANY – If you want to stay in a villa in Tuscany, consider a couple of things. Number one, does the villa host events, like weddings? If so, only on weekends or anytime? We stayed in a small villa that we LOVED, but we were there Friday and Saturday night and I didn’t realize that it’s also a wedding venue. They had a wedding there each night, which meant extra people on the property, loud music, fireworks and on Saturday a closed pool because that’s where the dinner was set up, around the pool. It didn’t ruin our stay, but if we were just looking for a peaceful experience, it certainly could have. The other thing to consider is WHERE is the villa located and how are you getting there or getting around once you are there? Most of my clients have rented a car if they are traveling in Tuscany and I would highly recommend that if you’re comfortable driving in a foreign country. We opted not to do that and paid for private car transfers to/from the villa, as well as a private day tour of the area. We were only there two nights and knew the villa had a well rated restaurant, but if we had wanted to try dinner somewhere else, it would have meant more private car service and pre-arranging, which is fine as long as you are aware of that. Lastly, if you have any kind of motion sickness while traveling in a car, be forewarned that getting around through the Tuscany region is up and down and around and around! Beautiful, I mean REALLY beautiful scenery with the hillside vineyards and olive groves and the cypress trees lining properties, but that could all be ruined if you are uncomfortable the whole time. FLORENCE – Similar to the recommendations that we made for Rome, try getting early or late tours to avoid the crowds. Another suggestion is buying a museum pass. Even if you don’t go to every museum, this will save you time and money. You may not realize that many of the works of art displayed outside, like the statue of David and Ghiberti’s bronze doors on the Baptistry of the Duomo, are replicas. The originals are housed inside museums to preserve them for future generations to enjoy. If seeing the originals is important to you, the museum pass is your ticket….literally! Another REALLY important tip about Florence is their gelato! Most of us love to see the glass coolers filled with the gelato flavors piled high with swirls and sometimes garnished with fruit or other toppings. Well, DON’T eat those gelatos! We learned from a true Florentine that REAL gelato is sold in covered metal cans to keep the product cold, with the flavors listed on a board above the counter. The puffed up gelatos are massed produced and full of chemicals to get them to keep their shape and are not a good product. So next time you want a gelato, don’t be fooled by the pretty displays, go for the authentic homemade gelato in the covered metal containers! CINQUE TERRE – The five towns, built into the cliffs on Italy’s northwest coast, are a popular destination for Italians and tourists alike. Many people take a day trip out to visit this area, but I want you to go and enjoy a few days there. It’s actually quite easy to get there by train and the easiest town to stay in is Monterosso al Mare. It’s the northernmost town and the “flattest”, so easy to get around with your wheeled luggage. If you’re a hiker, try the trails between the towns, but DO be aware that you are going in between hill towns, so lots of elevation changes and steps. Wear good shoes, bring water and know which trails are open and which are not. Cinque Terre was hit with terrible flooding in 2011 and several of the trails have not been reopened. 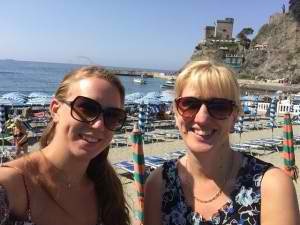 We had one of the best meals in Italy in Monterosso when their sports club hosted a “town party” with food, music and drinks. 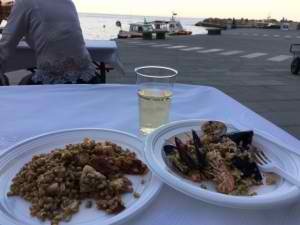 We enjoyed a seafood risotto, farro salad and local wine for 16 Euro that was simply divine! We were surrounded by families and local folks supporting the cause and although we didn’t speak the language, we certainly enjoyed the food and atmosphere. These smaller towns are worth visiting! Buy a day train pass and you can hop back and forth between all of them all day long. Taking the ferry gives you a view from the water, which really shows which towns sit on top of the cliffs. MILAN – Since this was our departure city, and because my daughter had been there before and I’m going back in November, we simply took the train into Milan and then headed to our airport hotel. BUT, that doesn’t mean I don’t have some tips for you! We stayed at the Moxy Milpensa airport hotel which is directly across from Terminal 2. We took the airport bus for 8 Euro from the central train station to the airport, saving about 90 Euro in cab fare! This hotel does not have a restaurant, BUT they partner with a local restaurant that offers a free shuttle between the two, so we had a wonderful meal out on our last night in Italy. Our flight the next morning was departing from Terminal 1, but we simply walked across the street and hopped on the airport shuttle to get us between terminals and it was free. This is a great and inexpensive way to spend your last night in Milan!